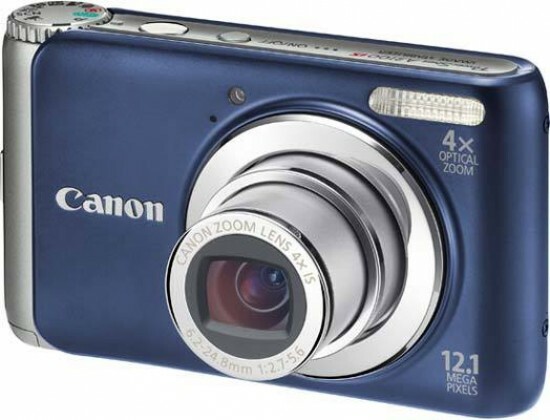 The Canon Powershot A3100 IS is a sensible choice as a first digital camera. There's nothing here to get too excited about, but the combination of ease-of-use, advanced features for beginners and solid image quality is a compelling one. The usual range of scene modes are accompanied by the ultimate point-and-shoot Smart Auto and Easy modes, which really take the guesswork out of using the A3100 and make it suitable for all the family. Other beginner-friendly features include Face Select & Track, a great way of focusing on who really matters in your photos, and FaceSelf-Timer which easily allows you to take part in those all-important family group shots. More advanced users will bemoan the lack of any creative controls as found on previous A-series PowerShot models, but the 3100 is a real newbie-friendly camera. Although the A3100 suffers from less than stellar images in low-light due to obvious noise appearing at ISO 400 and faster, image quality is on the whole good, with little sign of unwanted chromatic aberrations, accurate colours, ability to make long exposures and an effective anti-shake system. The not-so-wide-angle 35mm lens looks a little out of place on a 2010 camera, though, as does the VGA movie mode - keen cinematographers should look elsewhere - and the slow burst shooting mode is disappointing too. The A3100 is certainly reasonably priced at around £175 / $175, something that mid-range Canon compacts haven't been able to boast about too much before. So while this camera won't set the world on fire, it is a great introduction to the world of digital photography, making the Canon Powershot A3100 IS an easy Recommended choice.